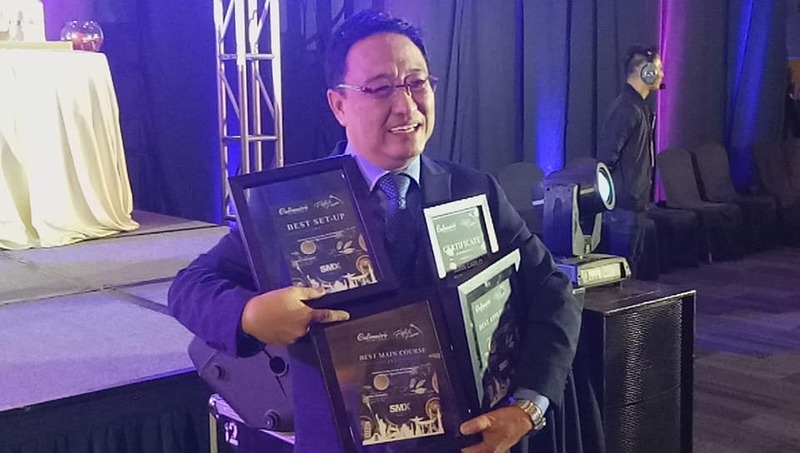 Congratulations to Juan Carlo catering for winning three awards (Best Appetizer, Best Main Dish and Best Setup) at the Culinaire 2017 event held last night at SMX Convention Center Manila. I believe Juan Carlo emerged as the crowd favorite as well last year. They have obviously been consistent with the quality and taste of their dishes even in small servings. Juan Carlo was followed by Conrad Manila for winning two awards (Best Dessert and Best Service). There were 14 that night but the awards were all received by the said two caterers as voted by the attendees themselves. Though the caterers had been designated to offer specialties coming from different countries (Germany, China, Japan, Korea, Italy, Turkey, France, USA, India, Mexico, Brazil, Thailand and the Philippines) to conform with the theme of the night "Flight of Flavors," where we had a boarding pass and passport accompanying us as we roam around our different culinary destinations. 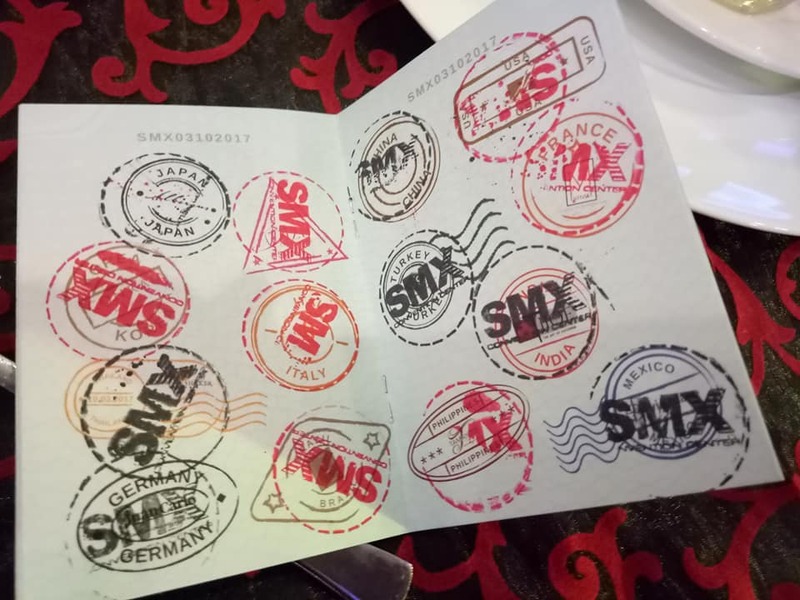 But before all the tummy traveling treats, the management of SMX welcomed the attendees and presented the good news that happened, happening nd about to happen with their many venues from Megatrade Halls to SMX Conventions Centers here in Manila and other areas like Davao and Cebu. 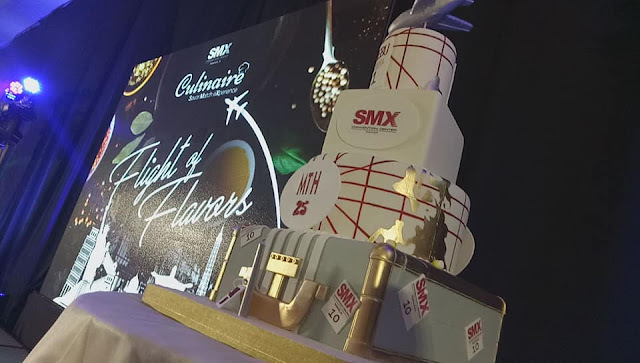 The caterers who participated were the same batch as last year but with the addition of three more (Kitchen City, M Catering and Fine Foods, and Manila Catering). 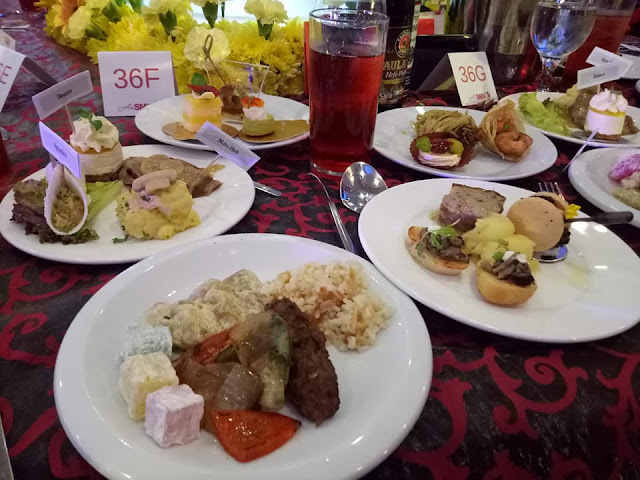 The original batch are LJC Group Catering Service, Tamayo's Catering, TJIOE, Via Mare, Albergus, Bizu, Conrad Manila, Hizon's Catering, Josiah's Catering, Event Shaker Mobile Bar (the only bar) and Juan Carlo. All caterers have given their best but still everyone was required to vote for their chosen ones to win five awards. It is also times like these that many would wish they have a bigger stomach. With 14 caterers (1 bar) offering delightful dishes, you could not really fit everything in one seating so I had to go through every dish offering half-way . Meaning, I had to eat only half or just a portion of everything so I would have room for everything. I felt I had this obligation to judge them well so skipping a caterer was not an option. My mission that night was to taste everything even if it means not being able to consume the entire portions of the dishes. To be objective in my judgement, I had to sacrifice eating only half of that Churros, just a portion of that Slow Braised Beef Ribs and Roasted Leg of Ham, just a piece of that Azuki Pearls with Rose Jelly ..... you get the idea. Juan Carlo's Beef Brasatto truly was tender and tasty deserving of the Best Main Dish win. Their Setup is equally superb since it attracts attention in just one look, while their Wrap a la Portofino appetizer is worth every praise. Conrad Manila's dessert CO2 Soju Lime was quite unique for me and makes you want to return for more as your happy ending. The organizers of the event know very well to offer finger foods and cocktails before the event started, and the final drink of coffee that was available for everyone at one side of the venue. Culinaire is really an event I always look forward to. Being my third time at a Culinaire event has given me the opportunity to compare, and I could very well say that the event has been constantly improving every year. 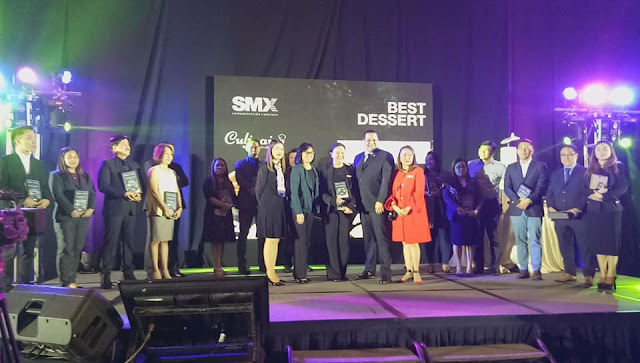 Congratulations to SMX for a very successful event. My heart was filled with remorse and pain for the past 7 months when my husband ended our marriage and went to his EX lover because i was unable to give him a son. I was so devastated and almost committed suicide. I asked everyone i knew for help but all my efforts were useless not until i was refereed to Doctor Casera by Oliver who i met online that he could be of help to me for he has helped her before. I got in touch with him and i poured out everything i had in mind to him and he promised to make me smile and make me live a better life by getting my husband back with his powers between just 24 hours. I believed in him and to my very eyes, my husband came on his knees pleading for forgiveness to come back and rectify his mistakes and today we are living with so much Joy and happiness. If anyone out there needs help of any-kind, get in touch with the Doctor now for he will help you out..